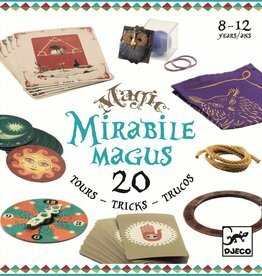 Djeco magic set with 20 tricks to learn and perform. Performing magic develops dexterity, logical thinking, confidence to speak in front of an audience and self-assurance. 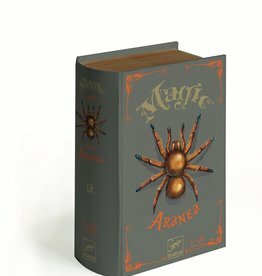 This magic kit was developed with the help of professional magicians. Perform this magic trick on your parents and friends. Learn and practice how to turn a spider into 5 little ladybugs, right before your audience’s eyes. 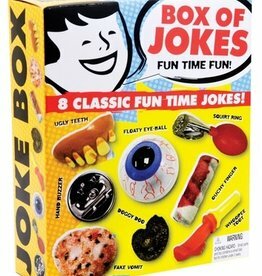 Box comes with 8 classic gags in one package! Includes goofy teeth, hand buzzer, floating eyeball, vomit, a bandaged finger, fake blood with finger pin, doggy stool and fart whistle.